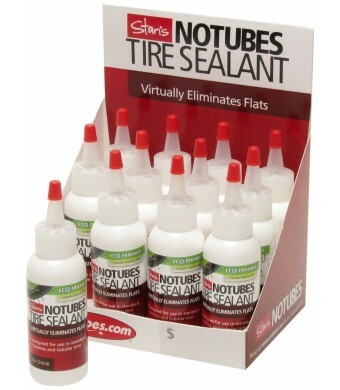 Stan's Tire and Rim Sealant seals punctures up to 1/4 on standard and tubeless tires. Usually lasts from three weeks to three months. 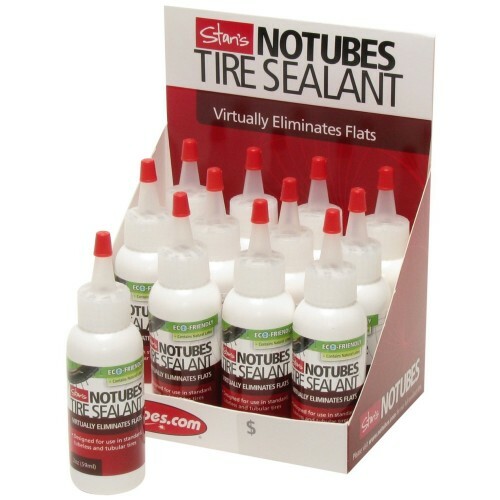 Cures instantly, leaves no mess in the tire. Sealant can be injected via removeable Presta valve core. 2oz: convenient, pre-filled for one application. Easily fits in backpack or saddle bag. One pint seals up to 8 tires.